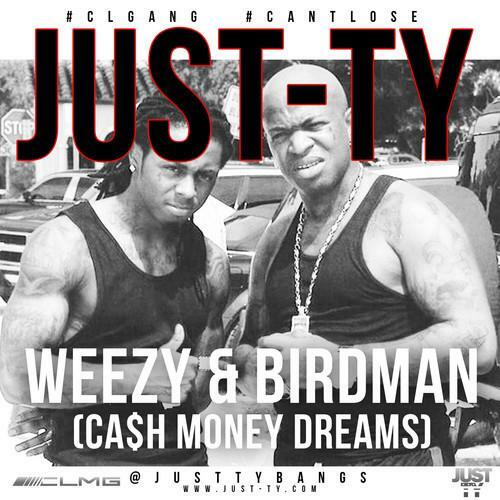 Just-Ty shares "Weezy & Birdman (CA$H MONEY DREAMS)." If you need a song about a current event in hip-hop, Just-Ty is your man. After his track "Chain Reaction (Migo Gossip)" dropped just days after Quavo got his chain snatched in Washington DC, the DC native now releases a track about Lil Wayne and Birdman on the day that a rift between them began showing. Flipping the auto tune switch on for the entirety of the track, Just-Ty remembers the golden days of Cash Money on "Weezy & Birdman (CA$H MONEY DREAMS)." Despite the way Baby's been accused of mishandling Tyga, Lil Wayne and a whole score of others, Ty still seem hellbent on getting signed by him.